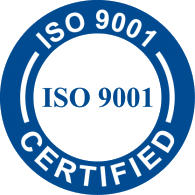 Thanks to the DIN ISO 9001 certification, we have implemented a framework that helps us to continuously improve our internal processes. This means that we are able to guarantee consistent product quality. We strive to constantly optimise our purchasing processes. Simultaneously, we also ensure the optimisation of the processes that have a direct impact on our clients. As such, we take client suggestions seriously. 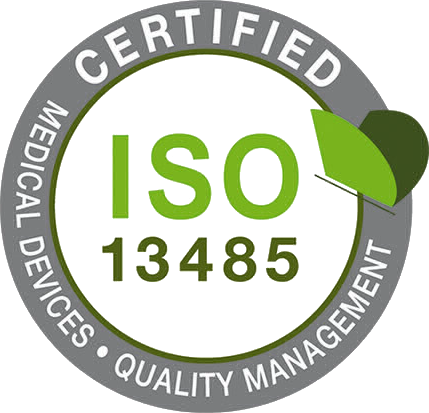 ISO 13485 adapts the ISO 9000 procedural model for a regulated manufacturing environment for medical devices. While ISO 13485 is based on ISO 9001’s process modelling concepts in terms of planning, production, control, and action, this standard was specifically created for regulatory compliance upgrades. It is more prescriptive and requires a more documented quality management system. ISO 13485 was drawn up to help medical device manufacturers design quality management systems and to set and maintain the efficiency levels of their processes. It ensures the consistency of designs, development, production, installation, and delivery of medical devices that are entirely safe when used for their intended use.